The Ricoh GR is a technological marvel as much as it is a camera. if you didn’t know better, you could mistake it for a typical point and shoot. But the GR is more than that. Inside its 8-ounce magnesium alloy body resides a 16.2 megapixel APS-C CMOS sensor that can produce high-quality raw files at 4928 x 3264 pixels. Hanauma Bay, Oahu. Raw file processed in Aperture 3.4. Over the span of a few weeks, I shot close-ups, landscapes, portraits, and movies from ISO 100 to 3200. At first, I thought that the fixed 28mm f/2.8 lens would be a limitation. So I made sure I had a zoom lens camera with me on my initial outings. But soon I discovered I was just fine with only the GR. It changed how I worked, urging me to move my feet instead of my zooming finger. The 3-inch, 1.2 million-dot LCD is beautiful, displaying colorful, crisp images. While composing outside, the Ricoh display held up better than most LCD cameras I've previously tested. That being said, investing in an accessory optical viewfinder is a good idea for outdoor photographers. Composing images on the LCD was an acceptable experience. Optional optical viewfinders are available, however. Physical controls include multiple dials, buttons, and switches that make it easy to control the camera without delving into the menu system. When you do need the menu, however, it’s straightforward and simple to navigate. Excellent placement of dials, buttons, and switches offer good control of the camera. The GR includes a pop-up flash and a hot shoe that accommodates an external flash or accessory viewfinders. The front bezel ring around the lens is removable, allowing for the accessory 21mm lens or the filter adapter. Raw files (DNG), JPEGs, and 1080p movies (24, 25, or 30fps with H.264 compression) are saved to SD cards. Audio is captured via stereo mic ports on either side of the lens. A built-in speaker handles playback, but there’s no audio jack for input or output. Part of the fun of the GR is its surprising array of advanced features. Street shooters might appreciate Full Press Snap. In the menu, you can choose a predetermined distance (1m, 1.5m, 2m, 2.5m, 5m, or infinity) and the camera will instantly focus to that distance and make the exposure when you press the shutter button all the way down at once. Full Press Snap enables you to respond quickly to sudden action. Photographers who wish to choose a particular aperture and shutter speed combination, but who need to work faster than fiddling with traditional manual exposure, should try TAv mode. You set the f/stop and shutter, and the camera automatically changes the ISO for proper exposure. Very clever. Many options are available on the top mode dial, including the excellent TAv setting. The electronic level helped me keep horizons straight while composing on the LCD. 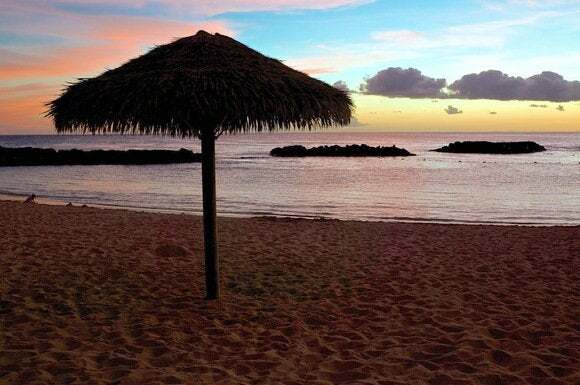 When you want to slow down the shutter speed or shoot at wide aperture, you can enable the built-in neutral density filter that provides a 2-f/stop effect. This is more convenient than carrying an adapter and filter to place in front of the lens. The GR has no shortage of creative functions also, including interval composite, multiple exposure, and Raw processing with preview. 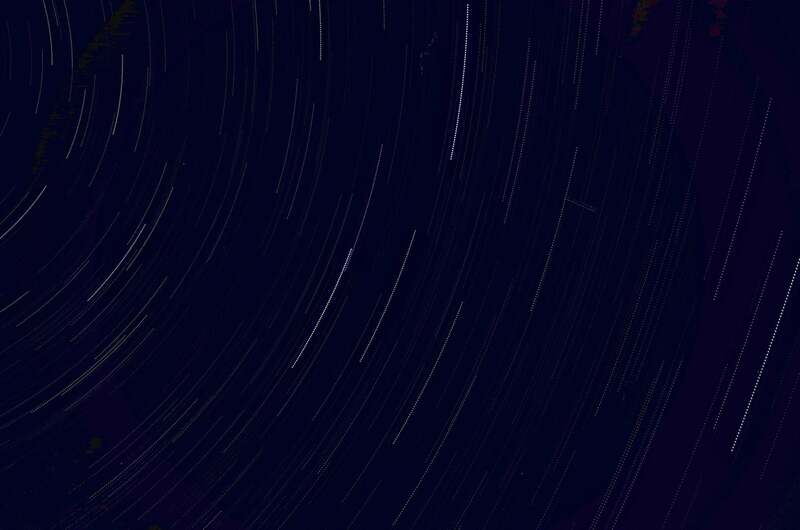 If you want to create a composite image of star trails or the path of the setting moon, the GR can handle both the capture and processing using the interval composite function. You set the time between exposures, and the camera does the rest. 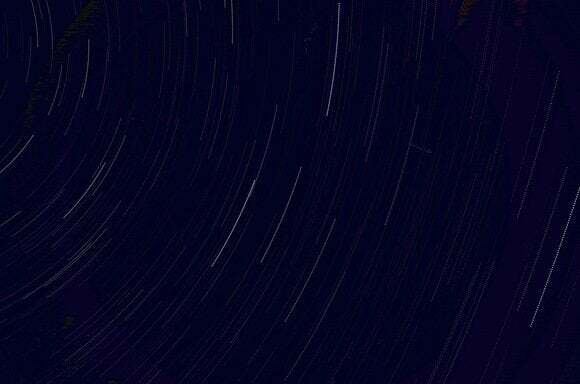 Star trails recorded with the interval composite setting. The multiple exposure mode is also quite robust, allowing you to combine in-camera up to five images. And if you record in Raw with the GR, you can apply a variety of post processing adjustments in-camera and output a JPEG. I enjoyed the ability to preview the effects as I applied them, eliminating any guess work for the final file. Other enthusiast-oriented features include bracketing for exposure, white balance, and effects, close-up mode (up to 10cm away from the front of the lens), full HD movie capture, focus assist, and Eye-Fi card link function. Overall, image quality is impressive with the Ricoh GR. At ISO 100-400, the GR rivals APS-C comparably priced DSLRs for resolution, dynamic range, and noise control. When the ISO climbs to 800 and 1600, image quality is still quite good, although noise is a bit more apparent compared to an enthusiast level DSLR (but certainly better than small sensor compact cameras). I was comfortable pushing the camera to ISO 3200, but from ISO 6400 to 25,600 image quality dropped below my acceptable level. 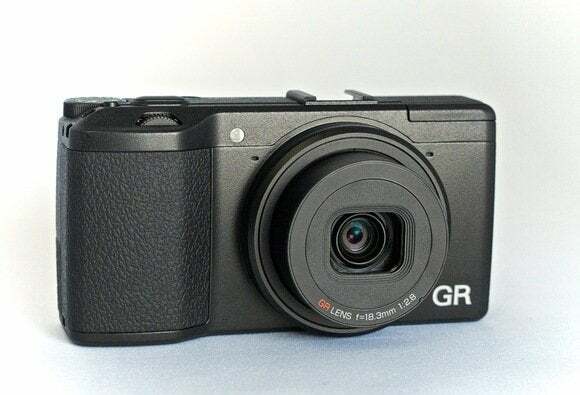 The Ricoh GR is designed for enthusiast photographers who can appreciate its quality, design, image quality, and impressive array of functions. 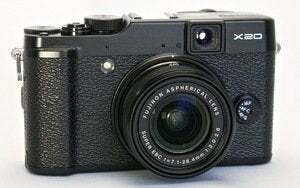 At $800, it costs hundreds less than rivals such as the Fujifilm X100S and Nikon Coolpix A, yet compares favorably in terms of image quality and capability.